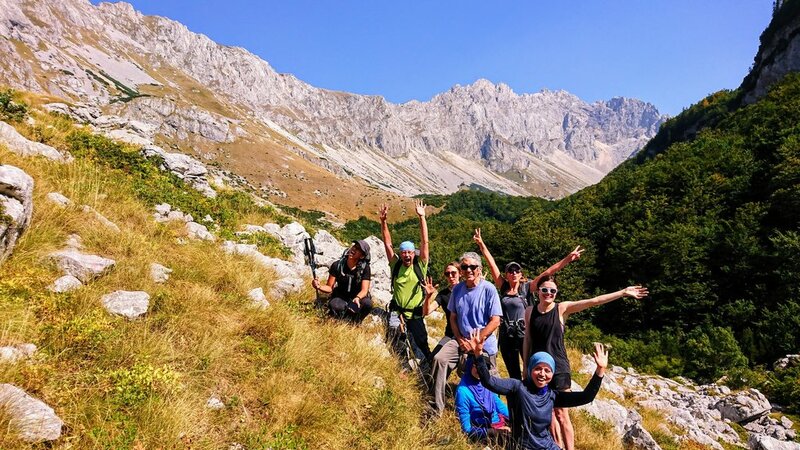 Perfect for hikers looking for an off-the-beaten-track adventure in Europe, this eight-day tour will wind you through the limestone peaks, glacial lakes, and plunging canyons of Bosnia and Herzegovina and Montenegro. Raft through the UNESCO-recognized Tara Canyon, visit Bosnia and Herzegovina's highest mountain, and wind your way through two national parks. 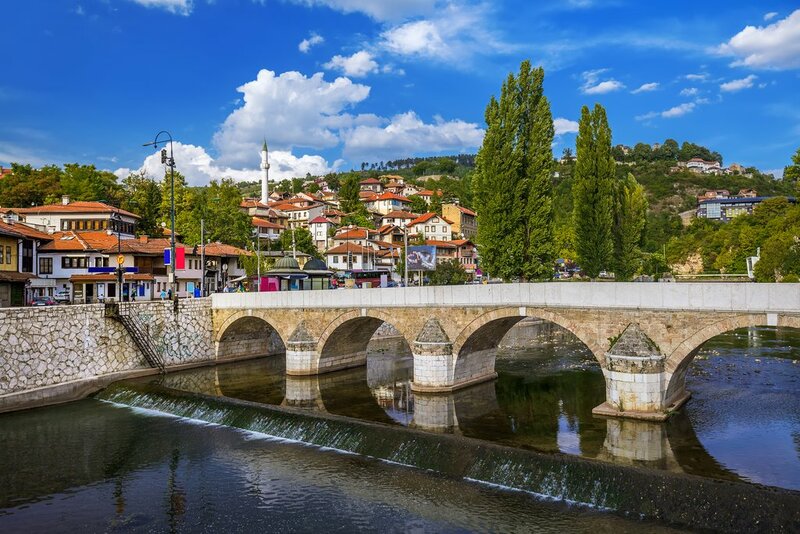 Welcome to Sarajevo - the capital of Bosnia and Herzegovina and a city rich in history. 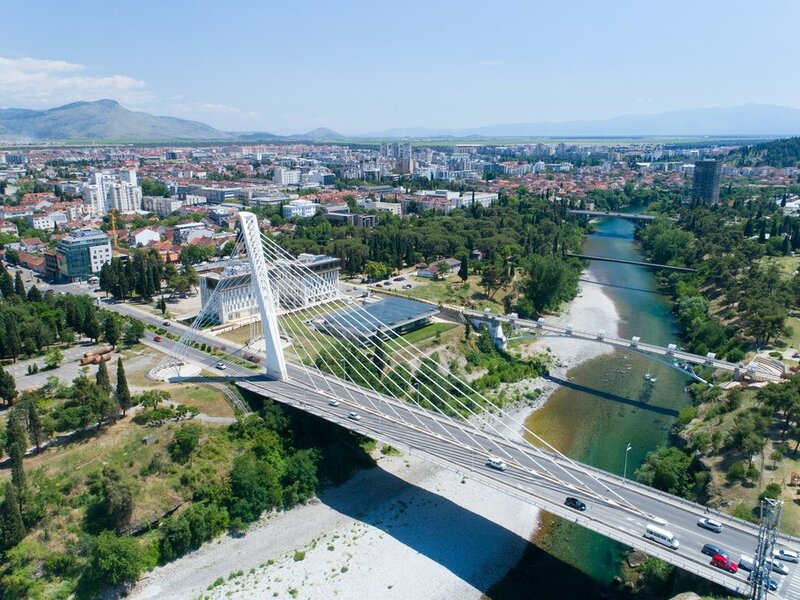 Start your Balkan experience with a day in the city touring its major historical, cultural, and war sites with a knowledgeable guide. Then return to your historic quarter hotel, enjoy a traditional welcome dinner, and get a good night's rest in preparation for tomorrow's hike. 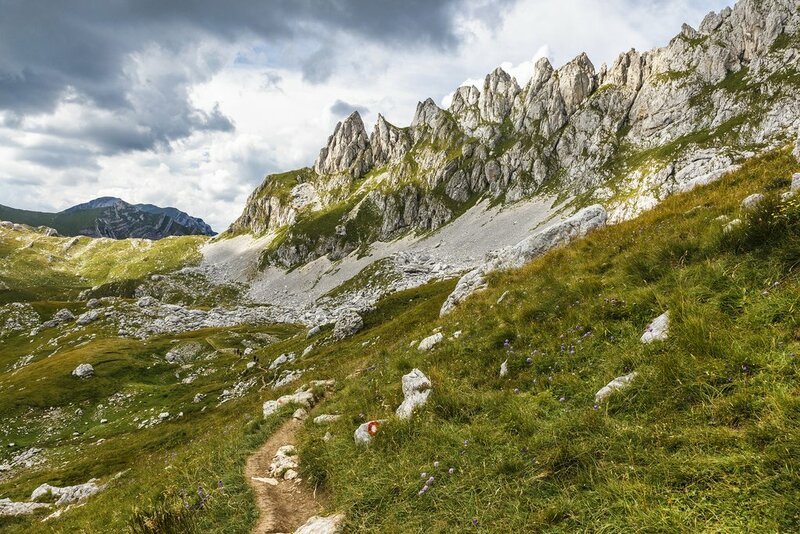 Lace up your hiking boots, pack your bags, and head to Sutjeska National Park - the starting point of your first Balkan hike. Today, you'll make your way through beech forest and open mountainous terrain to the tranquil shores of Donje Bare Lake and then the summit of Ugljesin Peak. Here, you'll find one of Bosnia and Herzegovina's best panoramic views of the Zelengora Peaks and the rock wall of Volujak. 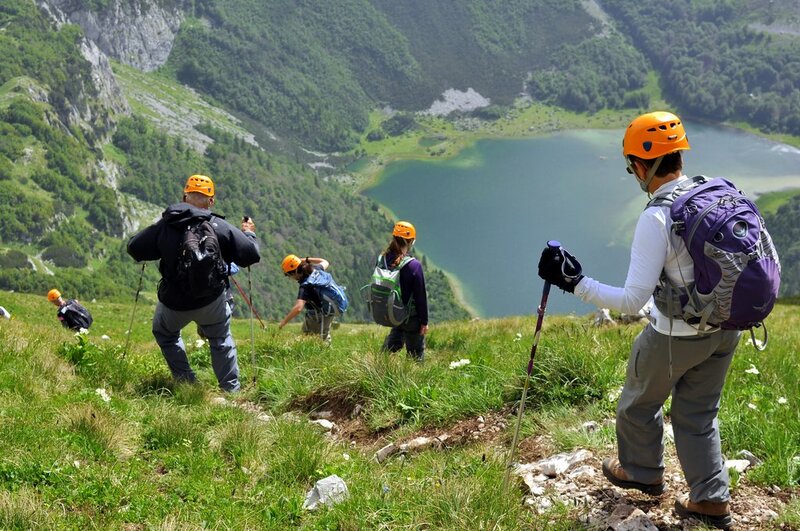 Continue along the trail to Gornje Bare Lake via Tovarnica Ridge against a backdrop of country's highest peaks. Then continue to the trail's end, where a transfer vehicle will whisk you away to your charming hotel and an early dinner in the Tjentiste Valley. 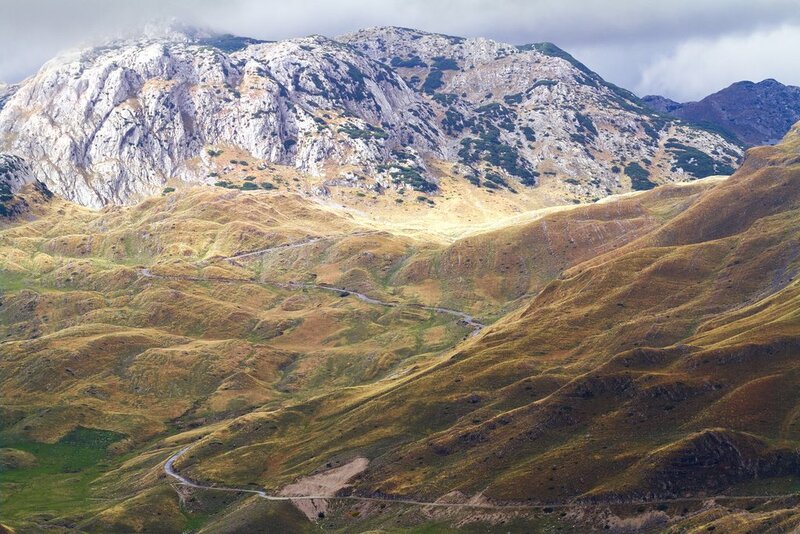 Starting from Lokva Derneciste, spend your day climbing Bosnia and Herzegovina's highest peak: Maglic Mountain. Wind your way alongside steep cliffs, through thick forests, and over open mountainous terrain on well-maintained trails. When you reach the summit, pat yourself on the back, soak in the views that sweep all the way to Montenegro, and enjoy a picnic lunch. After lunch, make your way downhill to the emerald-green waters of Trnovacko Lake and then to Prijevor where you'll transfer to another charming hotel. 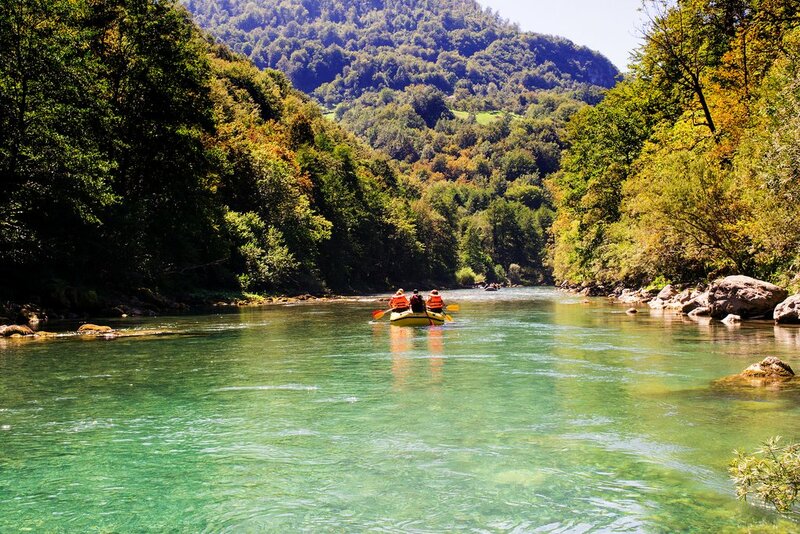 Take a break from climbing on your fourth day in the Balkans and head to the river instead! The Tara River is one of four beautiful white-water rivers in Bosnia and Herzegovina that offer professionally guided rafting tours. It ranks among Europe's best for class II - IV rapids. It boasts the deepest canyon in Europe. And it's where you'll be donning life vests and battling currents for the day. Spend three to four hours on the river before heading back to your bungalow, enjoying an early dinner on the riverbanks, and relaxing around a campfire. On your way to the trailhead, make a quick stop at Montenegro's Mratinje Dam - one of the highest dams in Europe. Then lace up those boots and hit the trails again, braving a steep uphill climb to a plateau with excellent views of the surrounding mountains. End the day's hike at a comfortable guest house on the edge of Tara Canyon with amazing views of the river and the entire Durmitor Massif. Starting from the village of Nedajno, continue along the trail to the Skrka Mountain Hut, stopping along the way to enjoy the views at Susicko Lake and the Skakala Waterfall. Expect a day of shifting landscapes - from rocky, mountain terrain to plateau to forested trails, all with amazing views of the surrounding peaks. 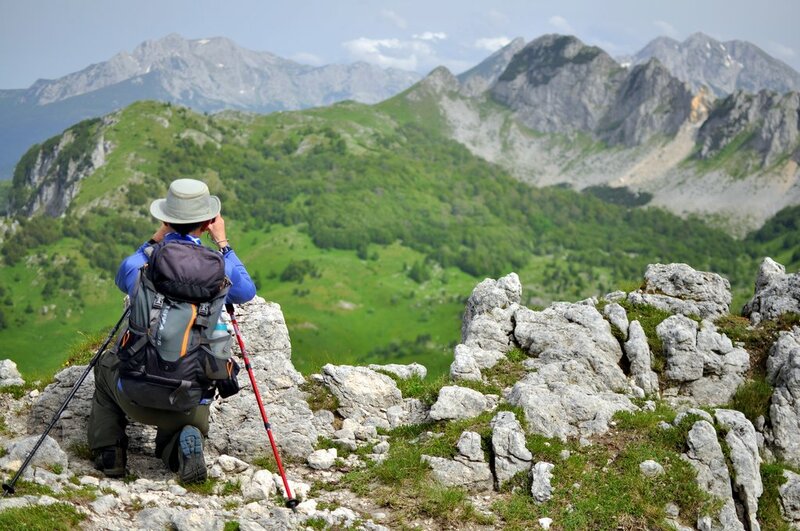 Grab an early breakfast and get ready for another big day - this time hiking across the Botun Pass and down to the town of Zabljak in Durmitor National Park. Watch for loose scree and be careful on the exposed, steep, and narrow paths; today's hike has some challenging sections. Overnight in a cozy lodge. 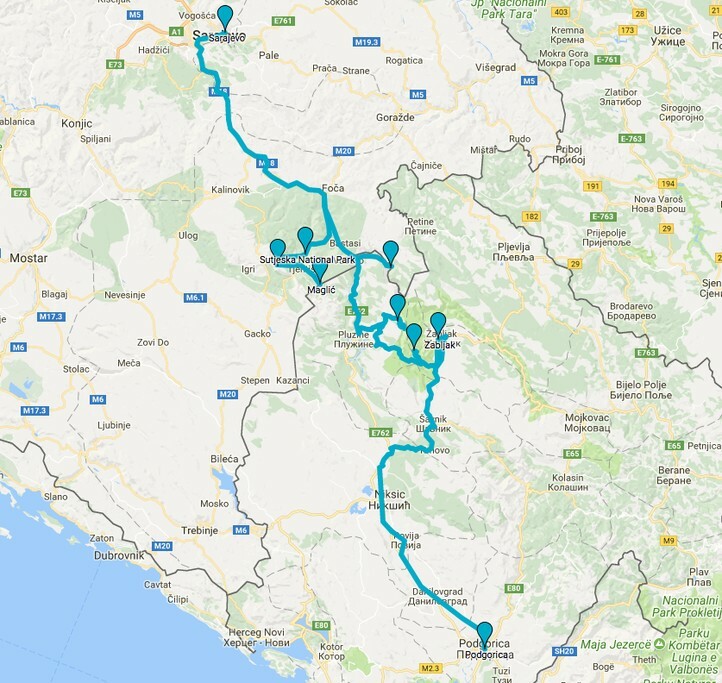 Bid your Balkan hiking adventure as you make your way to Podgorica Airport and head home - or extend your stay in the Western Balkans with a trip to Croatia or more exploration in Montenegro or Bosnia and Herzegovina. Communication overall was very good. It was easy to have contact with Thierry and also with our guide, who was a good translator between us (the group) and the hosts where we stayed. We were happy with Benjamin, he was a good guide who took time with the group, he took care of us and he was very adaptive. He learned us a lot while walking and had some good stories. Unfortunately we weren't able to climb the Maglic Mountain because one of the girls didn't have 'high' hiking shoes because she didn't knew this was a pre, so maybe it's good to notice this when people are booking. The rafting was good for the diversity in the week. Overall: very happy with Kimkim and would book again here. No further recommendations and thanks for all.